December 5, 1952 – residents of London, England woke to cloudless skies characteristic of a prolonged pattern of unusually chilly weather. Shivering citizens fed coal burning fireplaces with earnest, soot belched from thousands of chimneys. Within a few hours thick fog settled over the city, by afternoon fog began to turn “sickly yellow” in hue. 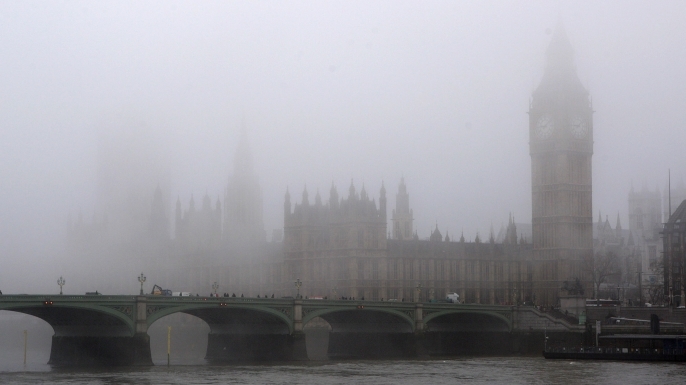 Unaware of temperature inversion caused by a stalled high pressure weather system, Londoners had no way of knowing warm temperatures 1,000 feet above ground blocked noxious soot’s escape. Reeking of rotten eggs, poisonous sulfur rich smog halted air, train, boat and surface transportation. Those who ventured outside reported streets thick with sticky goo and blackened faces of coal miners. Over 5 days an estimated 12,000 succumbed to the killer fog. A government investigation resulted in the Clean Air Act of 1956, restricting burning of coal in urban areas and grants to convert coal heat to gas, oil or electric. Knowing coal emissions trapped in fog are lethal isn’t the same as understanding chemical interactions at play. It took a trip to China (a coal burning nation, home to 16 of the 20 most polluted cities in the world) by Texas A&M researcher Renyi Zhang to publish findings Oct. 9 2016 in Proceeding of The National Academy of Sciences. Research indicating the same phenomenon takes place today. “People have known that sulfate was a big contributor to the fog, and sulfuric acid particles were formed from sulfur dioxide released by coal burning for residential use and power plants, and other means. This entry was posted in Environment, History and tagged 1952 Killer London Fog, Burning Coal, China Air Pollution Deaths, environment, history. Bookmark the permalink. Unsurprisingly, there are many coal billionaires in Beijing, many from the “nearby” city of Taiyuan, a big manufacturing center and coal burner. I believe that the reason we’re seeing this eternal polluting fog in China is as much, if not more, caused by the unwillingness of coal billionaires to give up their coal revenues as it because of the effort of changing to nuclear power – which is the only viable short term alternative. Similar pattern as everywhere else I guess. Greed dominates. I’m fascinated by the subject, what’s the title of your coal book? Thanks 🙂 Not once has this Canadian equated New Zealand with coal, who knew! Now I have to track down your book.